Every weekend Metro celebrates from the midnight till the early morning, with the presence of our insane resident DJs! 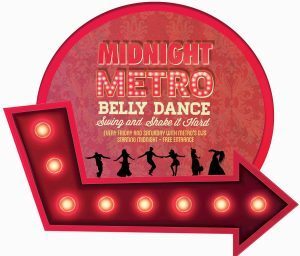 With the city’s key scene makers gathered in one place and with their musical talents behind the decks, this is your chance to rub shoulders with the great and the good of Beirut’s nightlife scene while the Metro takes you on an endless ride to happiness from minus 2 to anywhere you want. Every Friday and Saturday night at the Metro station. Every night will feature DJ Sets who are to blame for keeping you dancing till your legs can’t hold you! Why : Because you don’t need a reason to shake your booties!